The award winning CACI (Computer Aided Cosmetology Instrument) has gained the reputation as the finest micro current machine available. Backed by over twenty years of research, CACI is the best known system within the beauty industry, and is considered to be the most advanced treatment system of its kind. Indeed, treatment results are often so dramatic that CACI has become known as "The non-surgical face lift". 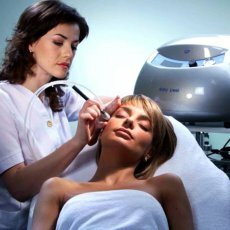 By utilising a unique combination of specific waveforms and frequencies that work in harmony with the body's own bio-electrical field, CACI transmits tiny electrical impulses and signals that have been documented to stimulate muscle tone and enhance skin tissue. A CACI non surgical face lift is an electronic beauty treatment using a CACI machine. CACI treatments lift the face by toning facial muscles, smoothing away fine lines and wrinkles and preventing sagging skin. CACI achieves visible face lift results, helping to tighten sagging muscles and skin, and smoothing away fine lines and wrinkles. The CACI programme consists of a course of weekly treatments, followed by a monthly maintenance session. CACI has attracted a unique celebrity following, making it the most publicised beauty treatment in the industry's history. CACI clients include famous faces from the world of show business, music, media and royalty. CACI offers, for the first time, a serious alternative to surgery in an increasingly appearance conscious world. Hydratone is another treatment from Caci which we have incorporated into our famous Caci facial. The Hydratone procedure takes and extra 10-15 minutes to perform yet provides immediate and intensive skin hydration and face firming. 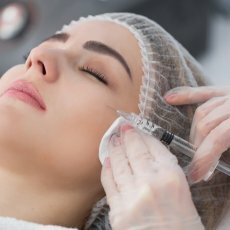 Hydratone combines active micro current rollers with a unique, electrically conductive gel mask that has been infused with powerful hydrating properties. (Collagen, hyaluronic acid, vitamin C and vitamin E)The rollers gently massage the face causing the mask to become charged so that the whole face is bathed with rejuvenating energy. The energy delivered by the rollers recharges and replenishes the bio-electrical energy within the facial muscles and in so doing helps to restore muscle tone and firmness. At the same time, the energy generated also drives the hydrating actives contained within the gel mask deep into the skin tissue. De-hydrated and sun damaged skin is immediately quenched by the hydrating action of the mask. The mask's powerful properties also have a softening action on skin tissue that helps to plump out and smooth deep lines and wrinkles. After just 10 minutes of Hydratone treatment the face has a remarkably softer, radiant and more youthful appearance. The CACI Ultra system incorporates 4 different technologies within one state of the art treatment device, Microcurrent, Ultrasonic Peel, Hydratone and LED Light Therapy photo stimulation. 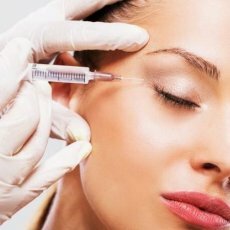 The procedure lasts approximately 75 minutes and is a mix of all that is listed above to give you softer toned skin, better looking skin with reduced fine lines and wrinkles, plumper and more healthier looking - that younger youthful look and feel. It is also a most relaxing treatment that you would expect from a truly unique top quality facial. The Caci Jowl Treatment improves the appearance of sagging Jowls. It has been developed to specifically target muscle laxity around the jawline. It uses Quad probes which emit tiny electrical impulses to lift. 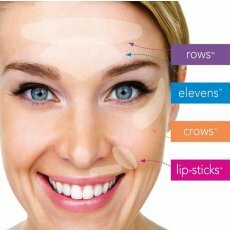 firm and redefine facial contours. The CACI Jowl Lift treatment is completely painless, although some clients may experience a slight tingling sensation or metallic taste, which is perfectly normal. The award winning CACI (Computer Aided Cosmetology Instrument) has gained the reputation as the finest micro current machine available.Backed by over twenty years of research, CACI is the best known system within the beauty industry, and is considered to be the most advanced treatment system of its kind.CACI has attracted a unique celebrity following, making it the most publicised beauty treatment in the industry's history. CACI clients include famous faces from the world of show business, music, media and royalty. Body Conditioning: CACI's unique roller bars achieve excellent results on problem areas such as the abdomen and bust, particularly difficult to tone after childbirth and surgery. Stretch marks and scar tissue can also be successfully treated. Cellulite: The powerful electro-cellulite massager tackles cellulite, fluid retention and stubborn fatty areas such as the thighs and buttocks. This achieves rapid inch reduction as it contours and firms underlying muscle and detoxifys surrounding lymph. The CACI Quantum is the most advanced face and body treatment system available and features specific programmes for slimming, contouring, cellulite, lymphatic drainage, face lifting, wrinkles, acne and scar tissue. Using specific facial techniques in conjunction with a combination of slimming and toning applications, the CACI Quantum works to restore and redefine facial muscles, reducing lines and wrinkles while simultaneously tightening body muscles. Gives an inch-loss effect on the body. It is ideal for someone wanting to lose weight and works very well in conjunction with diet and regular exercise. Toning TreatmentRecommended for someone who does not need to lose any more weight but would like to be more toned. Specifically designed to stimulate lymphatic flow speeding up the removal of toxins from the body. Can be used on the stomach, bust and buttocks to help strengthen and lift muscles therefore having a tightening and firming effect. You can send us an email on spa@essentialslondon.com with any questions or comments.